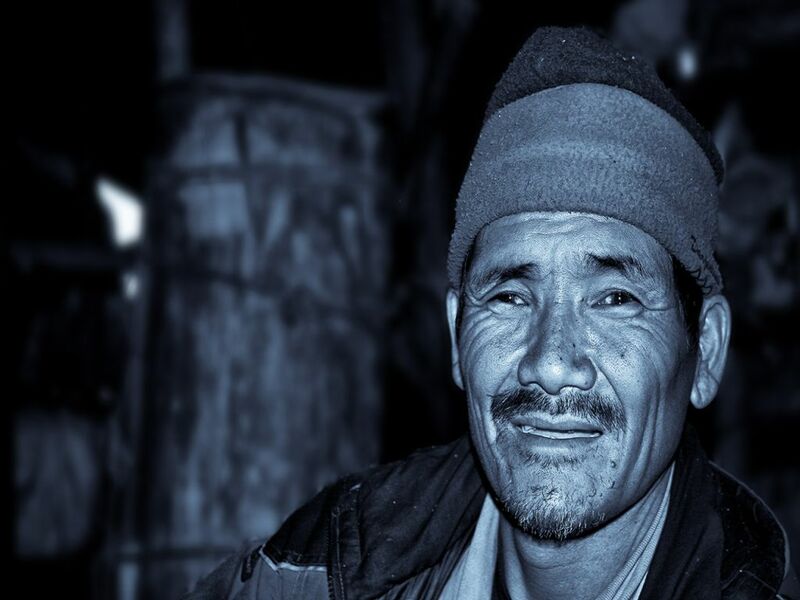 ‘Yachange Budaa’ – Even thought his real name is Lakpa Sherpa, he really likes to be called by that name. He lives in a place called Langmale at the foothills of the Mt. Makalu, where he is the almost only population of that place. One need to take a challenging 6 days trek to get to his place after leaving the comfort of the road. Before entering into a new found business of ‘kira’ (Yarsagumba), he has been looking after his yaks and making ‘sherkam’ for 7 years. His youngest daughter is just 6 years old and that unfolds the other side of him. He has been married to 3 beautiful wives, has been to the Nepal Army for 3 and half years and he really knows how to keep his audience spellbound with his stories and his amazing sense of humor. It was a great pleasure to meet probably one of the happiest person in the planet.